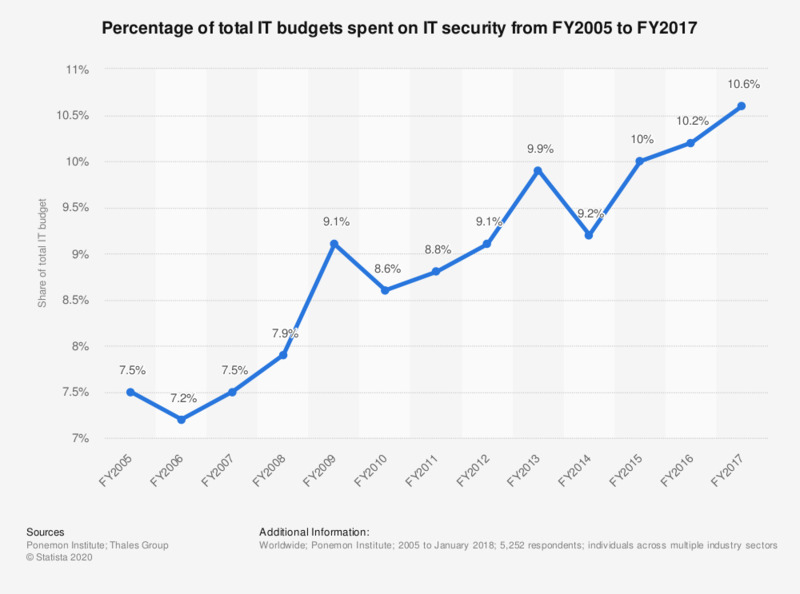 The statistic shows the average share of IT budgets that is put towards IT security, from FY2005 to FY2017. As of January 2018, according to respondents, enterprises currently spend an average of 10.6 percent of their overall IT budgets on IT security. This figure has risen relatively steadily since 2005.